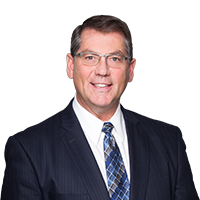 At the beginning of February, the Conservative Party put forward a Motion in the House of Commons asking Members of Parliament to vote in favour of convening a committee study on the Canada Border Services Agency (CBSA) security screening process. Our Motion, which the Liberals defeated, was prompted by media reports that thousands of refugee claimants are living in Canada without having been fully cleared by national security agents. These serious gaps in screening puts Canadians at risk. Internal government documents show that between 2016 and 2018, the number of asylum seekers awaiting clearance increased sevenfold. As of last February, 11,745 refugee claimants were waiting for a complete security assessment. At that time, the average wait time to complete a review was 72 days, with one backlogged case taking 857 days. In order to ensure that Canadians, including new Canadians, are not put at risk, and the cases we are hearing about are isolated cases, this issue needs to be addressed. In late January, Canadians learned that an individual deemed a “national security concern” by the CBSA was granted permanent residency in 2017 after a series of screening failures within the immigration system. Prior to that case, Canadians heard about the disturbing case of a man who, while crossing the border illegally in Manitoba, was admitted into Canada despite having an extensive criminal record and arrest warrant in the U.S. Additional instances of the security process not being followed have been revealed in internal documents. I believe that Canada does not have enough resources to cope with the increased demand on the immigration system. However, we will not know for sure how many more CBSA agents are needed to process the unprecedented number of illegal border crossers each month without a comprehensive study. Examining Canada’s security screening processing and addressing the gaps in that process will put Canadians at ease with respect to any real or perceived risks to their safety. The government’s opposition to a study is as confusing as their current approach to immigration. This is a conflicting and disturbing message they are conveying to Canadians and newcomers: play by the rules and expect long delays and backlogs – if your application gets accepted at all. 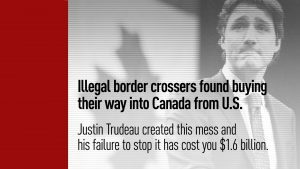 Conversely, break the rules and enter the country illegally and expect to wait 0 days to be given access to all Canada has to offer. What is just as confusing is the Liberal’s approach to the Parent and Grandparent Sponsorship Program. Immigrants were under the belief the government was increasing the number of parents and grandparents to be reunited with their families under this program. However, applicants soon learned, after having just minutes to fill out and unsuccessfully submit sponsorship forms electronically, that what the government had actually done was increase the number of applications to the program. The Trudeau Liberals had simply instituted a lottery system, leaving family unification to the “luck of the draw”. Many newcomers were rightfully frustrated and upset when they were completely blocked from submitting their application as the number of unification requests far exceeded the permissible numbers for this year. Under our previous Conservative government, we provided permanent residency to 20,000 – 25,000 parents and grandparents each year. The Liberals have not increased this number all while encouraging tens of thousands of illegal border crossers to enter into Canada. We will continue to hold the Trudeau government to account on this issue and expose their attempt to mislead the public.